The Construction Manpower Development Foundation (CMDF) in partnership with the Ministry of Land Infrastructure, Transport and Tourism (MLIT) of the Government of Japan, and the Foundation for International Transfer of Skills in Construction (FITS, Japan) conducted a seminar on ‘Measures to develop construction skills of Foreign Human Resources in Japan’ last March 16, 2017 at the Dusit Thani Manila. 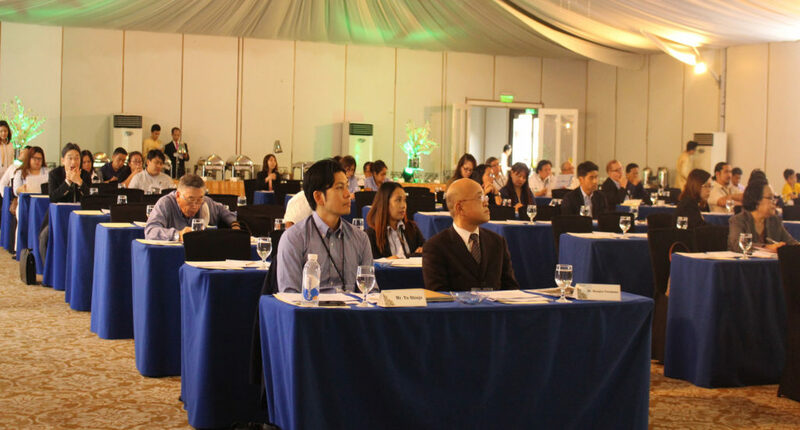 The seminar’s main objective is to explore measures to advance the human resource development of Filipino construction skilled workers trained in Japan. Mr. Keita Ohtsu, Subsection Chief, Construction Market Division, Land Economy and Construction Industries Bureau of MLIT gave a talk on frameworks and recent measures used in Japan. The present Technical Intern Training System allows for foreign trainees from developing nations to stay in Japan for a maximum period of 3 years to acquire skills through OJT. There is also the Foreign Construction Workers Acceptance Program which allows skilled workers in Japan to address temporary construction demands like the 2020 Tokyo Olympics and Paralympics. Mr. Shunjiro Furuhama (Matsuzawa Kawaraten Co., Ltd) discussed the necessity of human resource development to conduct step-up training for trainees with acquired technology and skills to actively participate in the development of the construction industry within their home countries. The Skills Education and Training Program System allows for contents of curriculum, accomplishment levels, and employed materials to be systemized and stored digitally for efficiency. The system helps trainees understand contents and schedule of curriculum to be more cost conscious. There is also a proposal to use Japanese technology in building and improving large scale power plants with the Numata Off-grid Model. Jellyfish a web-based registry for construction industry workers returning home from Japan was introduced by the Executive Director of Jellyfish Inc., Mr. Yu Shinjo. It aims to filter users based on skills, nationality, language ability, qualification and work experience to come up with job matches. The system protects users’ privacy by having companies request for access from Jellyfish before making contact with a worker. The system also automatically takes out a user from the registry after getting employed. On the domestic front, CMDF is developing Construction Industry One Registry System (CIORS) a web based registry for construction industry workers and professionals in the Philippines. CMDF sees an opportunity to improve the system by emulating Jellyfish. CIORS plans to include job matching feature in the registry system to benefit both workers/professionals and construction companies. It also aims to map out construction industry workers/professionals in the Philippines with a workforce mapper. The seminar highlighted the current strategic partnership between the Philippines and Japan and future opportunities of the construction industry in both countries to further develop and invest in improving the sector. CORTES, Bohol, March 7 (PIA)—With resolve, Cortes Mayor Lynn Iven Lim declared the new Cortes Police Station as the beginning of a new Cortes. Lim, who assumed his first term on office as Cortes top executive inherited a town that has hardly changed its economic landscape. In fact, if only to show how bad it is, wild vines are slowly retaking the abandoned town hall and ugly piles of rubbles from its crumbling centuries-old stone church are still evident in the town plaza. The past earthquake in 2013 has pulled back all the town efforts and set its economic plans decades back. Faced with the daunting task of rebuilding and restoring its earthquake damaged infrastructure, Cortes was lucky to have gotten funds from Bohol Earthquake Assistance funds. BEA is a national government stimulus funds to help local governments jumpstart its rehabilitation programs. For Cortes, a history of bad fiscal management has hampered the release of the funds, sources said. This also incapacitated the newly elected local officials from implementing their rehabilitation funds. 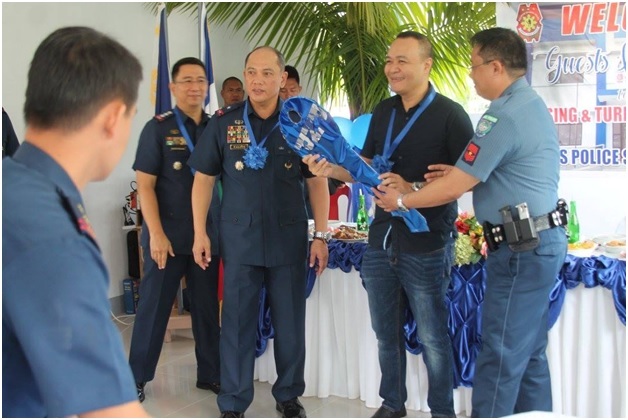 Until a lot donation in 1989 has allowed the town to see the Philippine National Police erect its P4.87 million three-storey police station, which Police Regional Director PCSupt Noli Taliño turned over last week. “This is the first public building built after the earthquake. This new building, let this be the new beginning, the start of the new Cortes,” Lim who has to do a crash course as chief executive said. Barely eight months in his post as mayor, Lim has had a long stint as councilor and vice mayor. This time, making sure that BEA which the town receives is freed so that it can be implemented, is the priority of the local leadership, a trusted aide of the mayor said. At the turn-over ceremonies, Lim also informed everyone present that after a long wait, the P65million Cortes Waterworks Rehabilitation is set to be implemented within the week. “The contract has been awarded and the contractor has visited the office to inform us that they would start mobilization next week,” Lim narrated. The earthquake has damaged much of the Cortes Waterworks pipelines, including major reservoirs and has buried a major submersible pump to decommissioning. The mayor believes that a restored municipal waterworks, coupled with a stable peace and order would jumpstart the economic progress of the town. Moreover, the mayor, who is now forced to occupy a makeshift office with the municipal hall declared as unfit for occupation, announced the ongoing construction of the new town hall. We have the town hall relocated to Malayo Norte, where the new regional hospital is to rise, the provincial government has 24 hectares of lot there and 12 hectares has been apportioned to the hospital. We also got 6,000 square meters for the municipal hall where we got P31 million BEA funds, he shared. “The construction in now ongoing, at about 40%, and we talked to the contractors who promised to finish it by the middle of 2017. We however believe it would be completed by the last quarter,” the mayor said. TOKYO—Philippine-Japanese trade relations remain robust as the Philippine Mission to Japan headed by the Department of Trade and Industry secures over Php 20 B investment commitments from Japanese firms during the three day visit. In sidelines to the Investment Forum in Tokyo and the 35th annual meeting of the Japan-Philippines Economic Cooperation Committee (JPECC) and Philippines-Japan Economic Cooperation Committee (PHILJECC) 35th Annual meeting, Department of Trade and Industry (DTI) Secretary Ramon Lopez recently (28 February – 3 March) met with to top Japanese Executives who have specified their interest to invest and expand in the Philippines. Secretary Lopez met with Tsuneishi President Kenji Kawanoto to discuss the expansion plans of the company in the Philippines. “These projects with Tsuneishi involves a 120-hectare ship reuse center in Negros Occidental, a Biomass Fuel Project in Mindanao, and an International Ship Recycling Facility that will be equipped with state of the art green technologies, ” said Secretary Lopez. The projects with Tsuneishi are projected to generate a total number of PhP 15.2 billion with 32,000 additional direct and indirect jobs in Shipbuilding and Biofuel industry. Ichijo Co. Ltd, a prefabricated housing components manufacturing company, also discussed with the trade chief about their plans of further expanding their facility in Cavite by building a two-storey warehouse. The facility is estimated to cost nearly Php 2 Billion and generate roughly around 600 additional jobs. 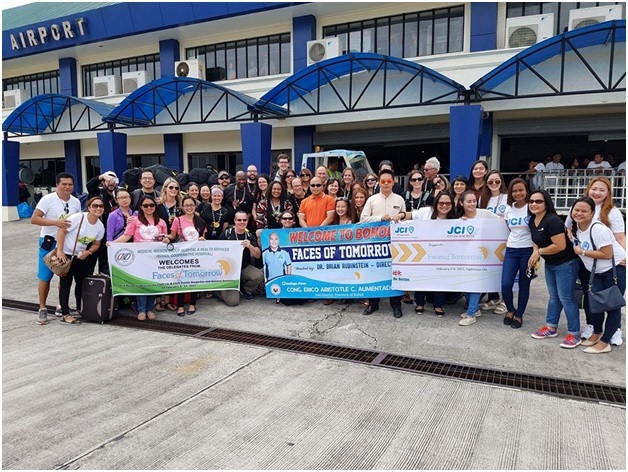 “Ichijo’s competitive operations in the Philippines catapulted its ranking from number 6 in Japan to number 1, alongside Sekisui House,” said the Secretary Lopez highlighting the investor opportunities in the Philippines. Secretary Lopez also met with Senior Executives of Sōgō Shōsha, Japan’s seven major trading houses namely Mitsubishi Motors, Mitsui & Co., Ltd, Sumitomo Corporation, Itochu Corporation, Marubeni Corporation, Toyota Tsusho and Sojitz Corporation, joined by Department of Transportation (DOTr) Secretary Arthur Tugade and Honorable Jose Laurel V.
The Sōgō Shōsha group expressed interest for further venture on participation in trade partnerships with the Philippines namely in the fields of renewable energy, railway and transportation, water management and Security. These projects include a coal power plant with an estimate cost of over Php 75 Billion , capacity enhancements of mass transportation namely LRT Line 1 South extension, LRT Line 2 East extension, North-South Commuter Railway Project and possible development of transit systems in Davao, Cebu and Clark, Philippine Coast Guard (PCG) Multi Role Response Vessels (MRRV). For the latter half of 2016 to 2018, Sōgō Shōsha group of companies (including subsidiaries and affiliates) expressed investment interests amounting to P198.5 billion in the aforementioned segments of the present government’s Philippine economic development plan. The Philippine Mission to Japan garnered more than Php 200 Billion investment interests, securing over Php 20 Billion worth of commitments from Japanese companies. MANILA, January 26 (PIA)–Gitakdang magpatuman si Presidente Rodrigo Duterte og mas istriktong patakaran batok sa mga tapolang empleyado sa gobyerno sa sunod buwan. “By end of February, I will impose severe restrictions on government. Unang-una yung sweldo nila ang lalaki. I will have zero tolerance for non-performing government workers,” matud pa ni Duterte sa iyang mensahe atubangan sa mga biktima sa bagyong Yolanda sa syudad sa Tacloban, Leyte kagahapon. Gawas niini, giingong pasakaan usab og kaso nga simple o serious neg­lect of duty ang mga kawani sa gobyerno nga wala nakahimo sa ilang trabaho. Matud pa sa Presidente nga mihinay ang aksiyon sa gobyerno sa daghang panginahanglan sa mga Pilipino tungod usab sa hinay nga paglihok sa mga kawani sa gobyerno. Gimanduan niini ang mga ahensiya sa gobyerno nga aksiyunan dayon ang request o bisan unsang papeles nga gipangayo sa bisan asang buhatan ug departamento. Gitataw sa Presidente nga ang kapaayohan ug interes sa publiko ang angay unahon. Gi-awhag usab niini ang mga regional directors sa mga ahensiya nga mahimong maayong ehemplo diin angay kining mag-una nga moabot sa opisina ug ang katapusang mopaule. BOHOL, January 11 (PIA)–Gitakdang sugdan karong tuig ang katukoran sa bag-ong Mega Drug Abuse Treatment and Rehabilitation Center sulod sa Camp Rajah Sikatuna sa Armed Forces of the Philippines (AFP) sa lungsod sa Carmen, ning lalawigan. Usa ang lalawigan sa Bohol sa 5 ka lugar sa nasod diin sugdan ang pagtukod sa bag-ong drug rehabilitation center karong tuig. Matud pa ni Cabinet Secretary Leoncio Evasco, ang tinubdan sa pondong mokabat sa P263 milyon nga itukod sa maong drug rehabilitation center maggikan sa China. Gipasalig sa Cabinet secretary nga ang katukoran sa maong rehab center magsugod gayud karong tuig ug matud pa nga iya nang gitahasan si Ding Borja, ang special envoy to China nga usa usab ka Bol-anon sa pag-pinalisar sa kakuhaan sa pondo gikan sa China sulod sa duha ka bulan. Kung mahuman na ang maong drug rehab center, makapasulod kini og 500 ka drug dependents. Ang Bohol usa sa mga lalawigan sa tibuok nasod nga nakatala og pinakadaghang drug surrenderees mao nga kinahanglan gayud dayon ang usa ka drug rehabilitation center dinhi.